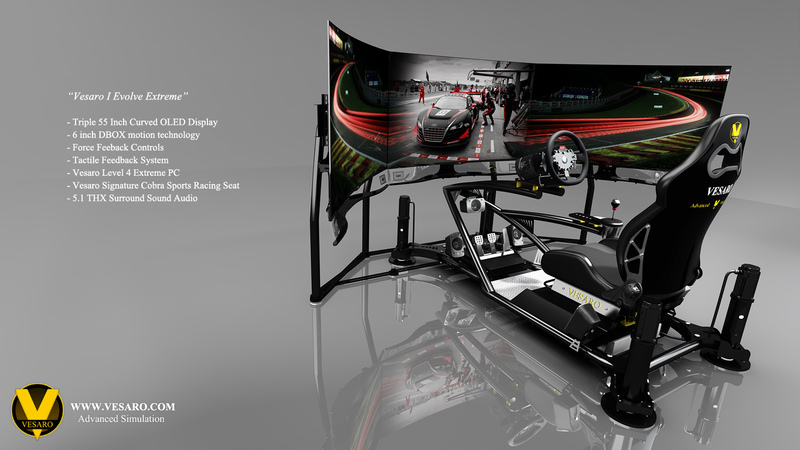 The Vesaro I Evolve Extreme Special Edition includes the worlds first 55 inch Triple Curved OLED display setup offering a massive 165 inch of screen curving around your seating position for an immersive experience that will leave you breathless. 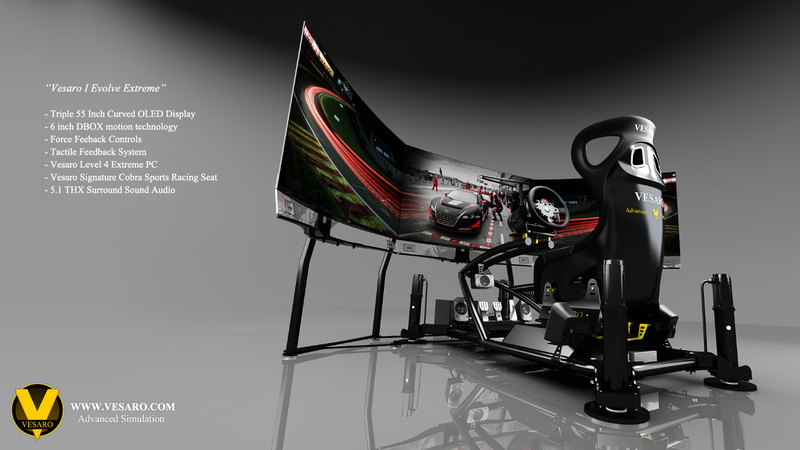 At the heart of the Evolve Extreme is our Level 4 Extreme PC ensuring the visuals sent to the three Curved displays are performing at their best, with two Radeon HD7990 6GB graphics cards housed in a double width brushed aluminium case the Level 4 Extreme PC is packed with powerful industry leading components. 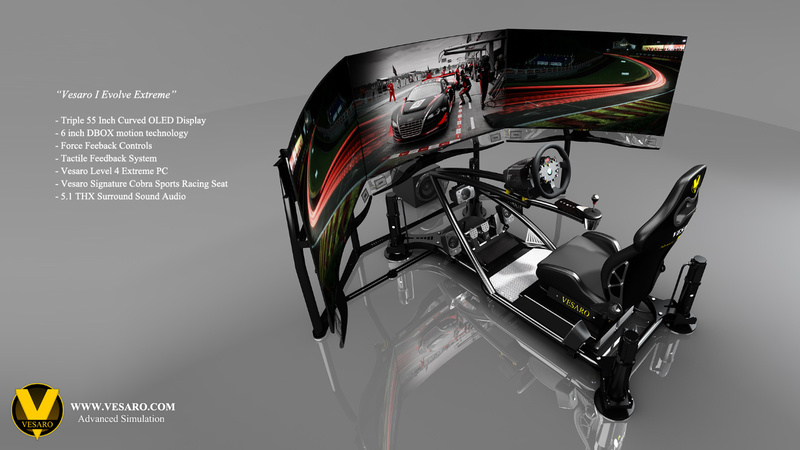 The Evolve pushes the envelope with cutting edge 6 inch motion technology taking the range of movement to a new level of extreme realism, this system is not for the faint hearted. 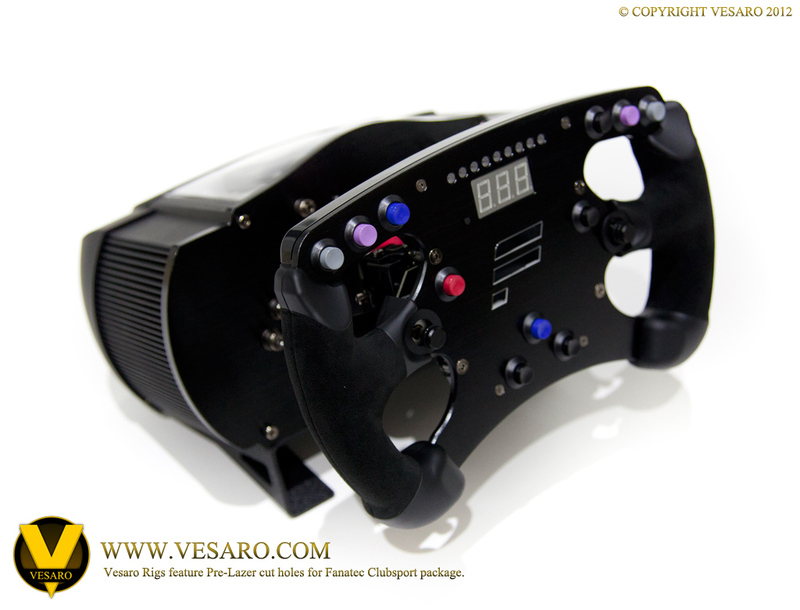 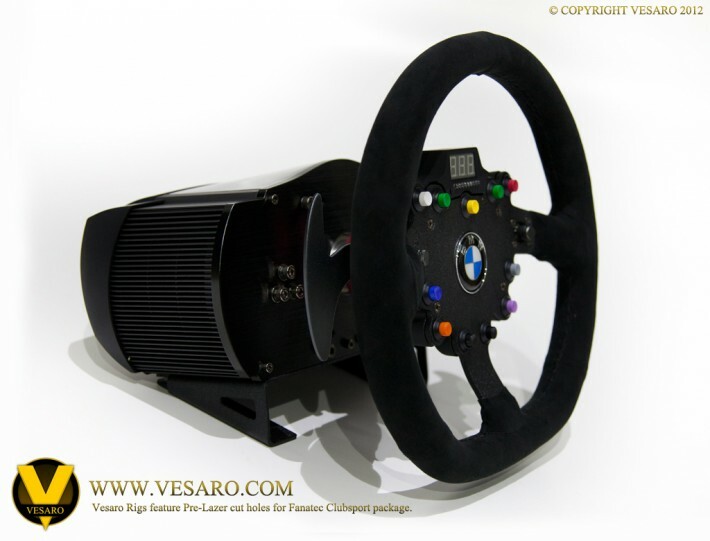 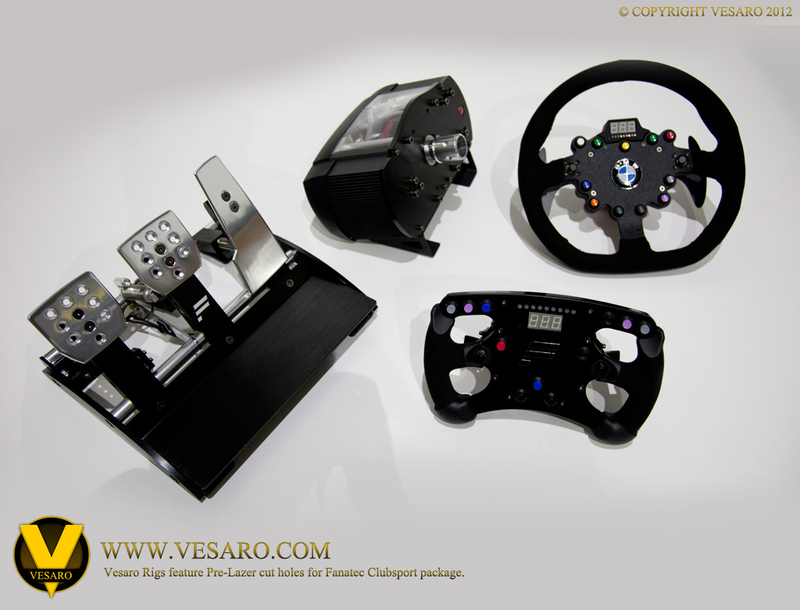 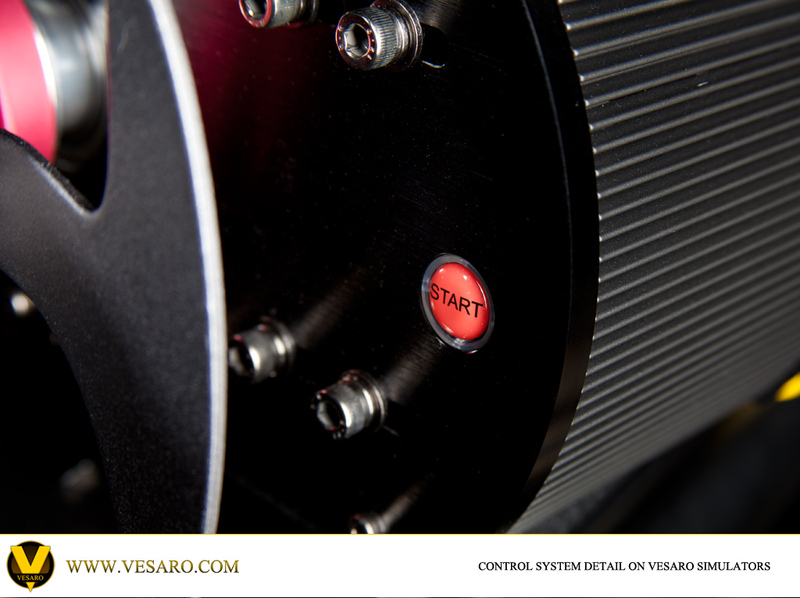 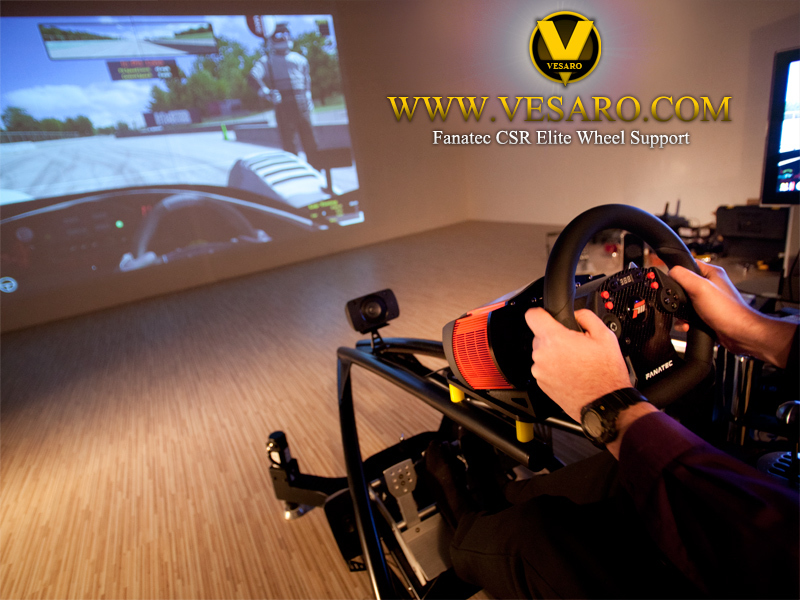 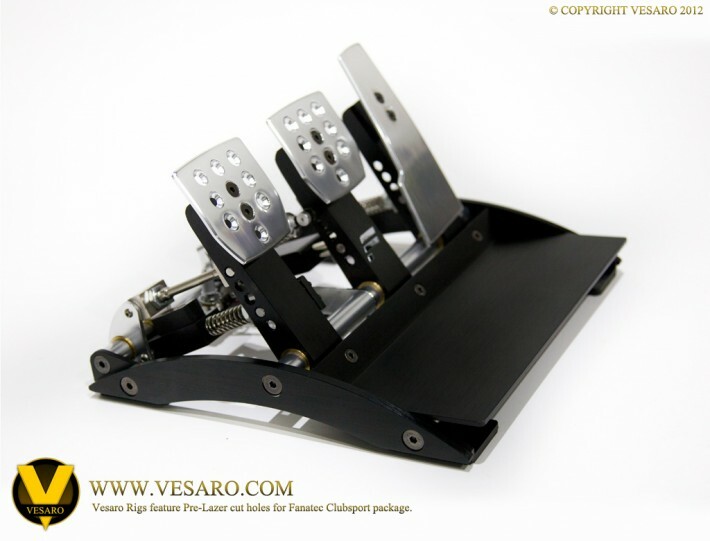 The Fanatec CSR Elite wheel is fully supported on the Vesaro rig system with pre-drilled holes. 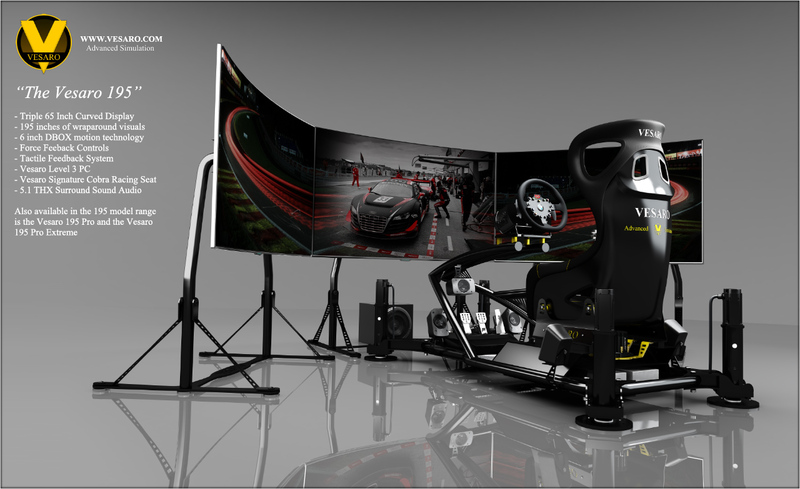 See picture below showing the wheel one of our Black motion rigs. 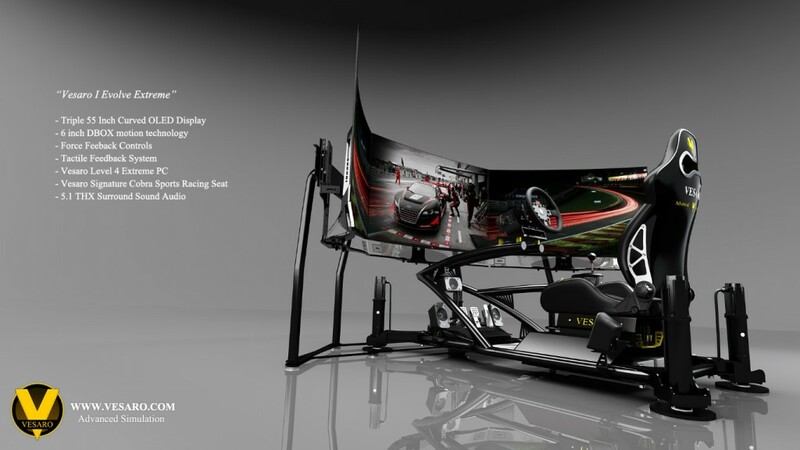 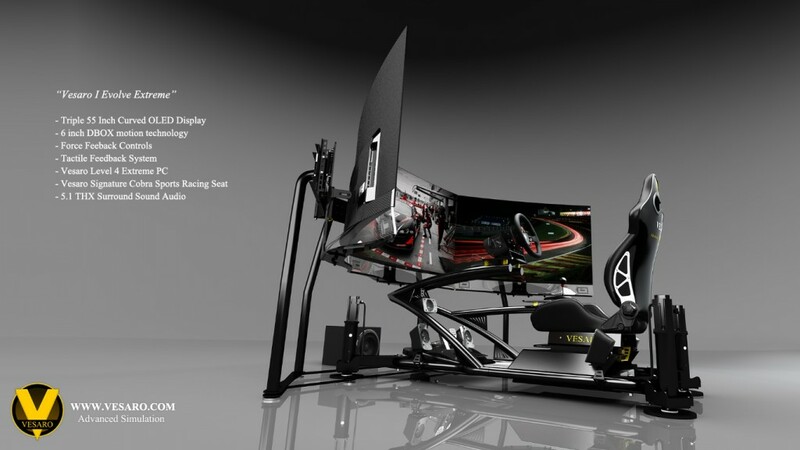 This setup is also using the Fanatec Clubsport pedals.